According to a short piece via RT.com, Mayweather has plans to bring a team of his fighters over to Chechnya some time in early 2018. Maybe Floyd is planning a tournament of some sort. Mayweather seems to like being in this part of the world, as does another former great in Roy Jones Junior, who also recently applied for Russian citizenship. Mayweather really is a global attraction and celebrity and with boxing being very popular in that part of the globe, his going there, opening up a gym or gyms and getting friendly with the leaders goes to show how smart a businessman “Money” really is. Of course, whenever Mayweather’s name is mentioned, there is talk of yet another fight; another comeback. But with his time being occupied by so many other things, does the 40 year old (41 in February of next year) really have time to box at the highest level once more? Mayweather has certainly made a great impression in Chechnya. 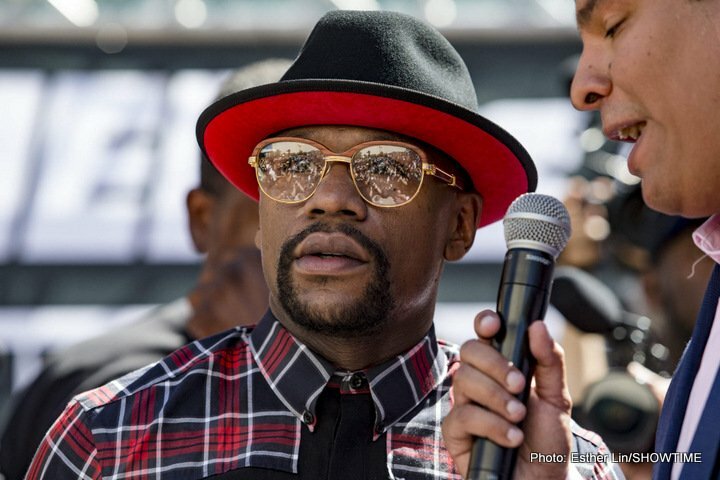 Reportedly, Mayweather is also planning to buy a home in Russia. Again, The Money Team is very much a global entity.